I’m starting to notice a pattern in my life…I spend the weekend eating badly and then turn around and try to remedy it by making something low-carb. I’m not sure if this is working for me or not but I guess deep down it must make me feel better about myself. After starting the day off Saturday with coffee for breakfast and a nice salad at lunch time, the day quickly spiraled out of control and I woke up Sunday to remember that I had also consumed cheesy chicken nachos, two (yes, TWO) separate plates of french fries, and a fast food chicken sandwich around midnight. Whaaaaaaaat? I can count on one hand the number of times I eat fast food in a year so I wasn’t really sure why my friend and I decided it was a good idea to head through the drive-thru on our way home from a night (or day-into-night) on the town. I came home and ate this super-salty chicken sandwich while watching Saturday Night Live and didn’t really enjoy one bite of it. If I learned nothing else, I remembered exactly why I don’t eat fast food. 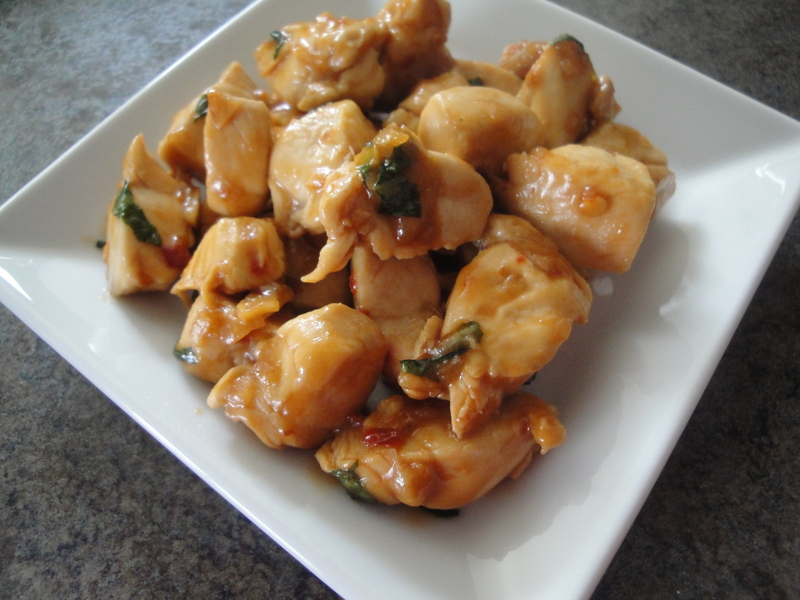 So, true to form, on Sunday I decided to make a nice low-carb chicken dish – Spicy Basil Chicken. 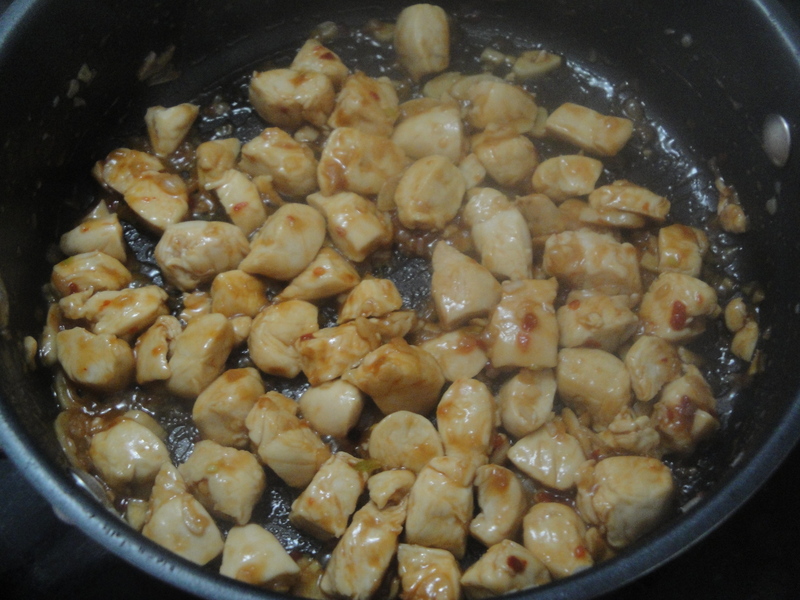 Tender chicken is cooked with shallots and sliced garlic before being bathed in a spicy and salty mixture of soy sauce, chili paste, sugar, water, and cornstarch. Sliced basil tops off the whole dish, giving it a fresh, bright finishing touch. 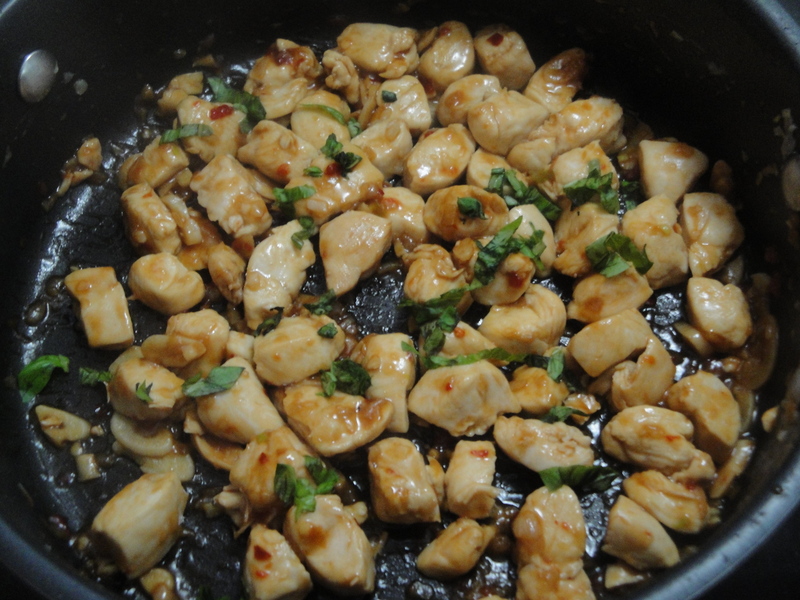 This tasted like an authentic chicken dish that I might get at my favorite Chinese food place, slightly reminiscent of Kung Pao. 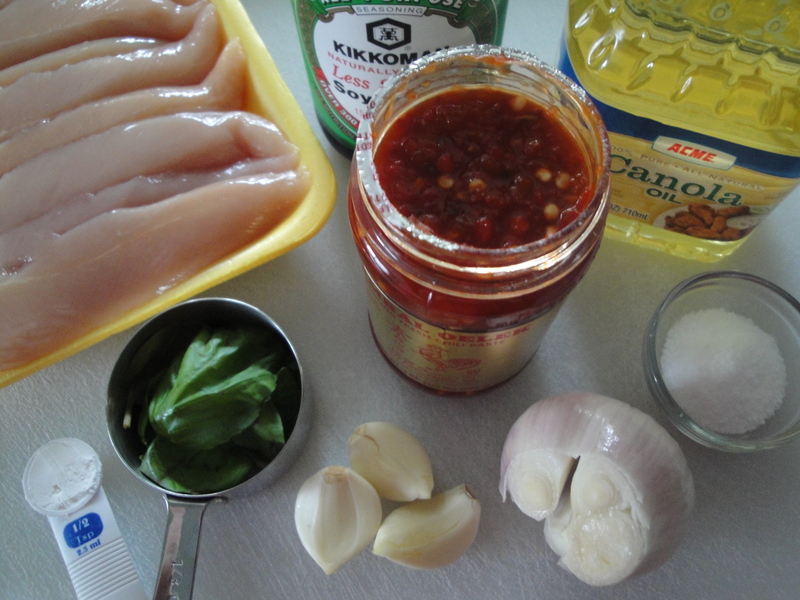 No matter how good the chicken was though, it was made even better by the soft garlic slices that soaked up the sauce. I probably could have eaten that garlic by the spoonful. In fact, I just might have. 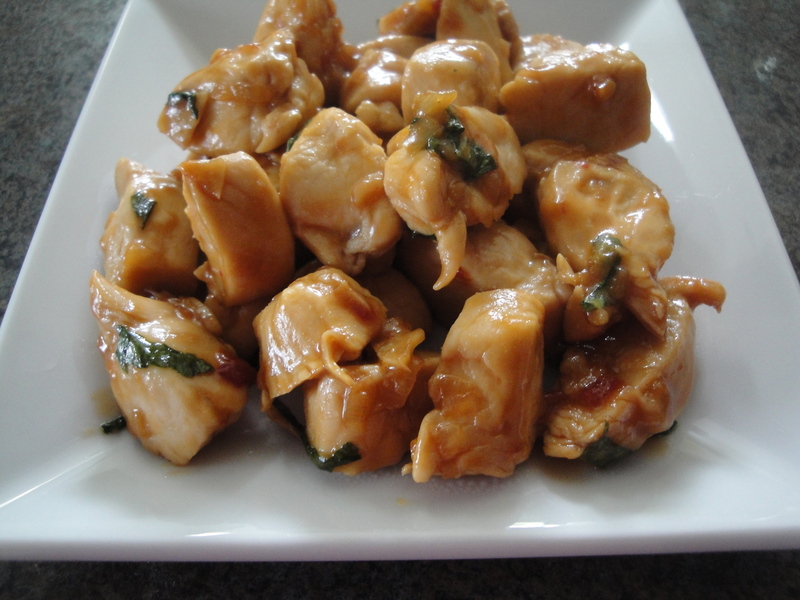 This dish is soooooo much better than fast food! Add canola oil to a large skillet over medium-high heat. 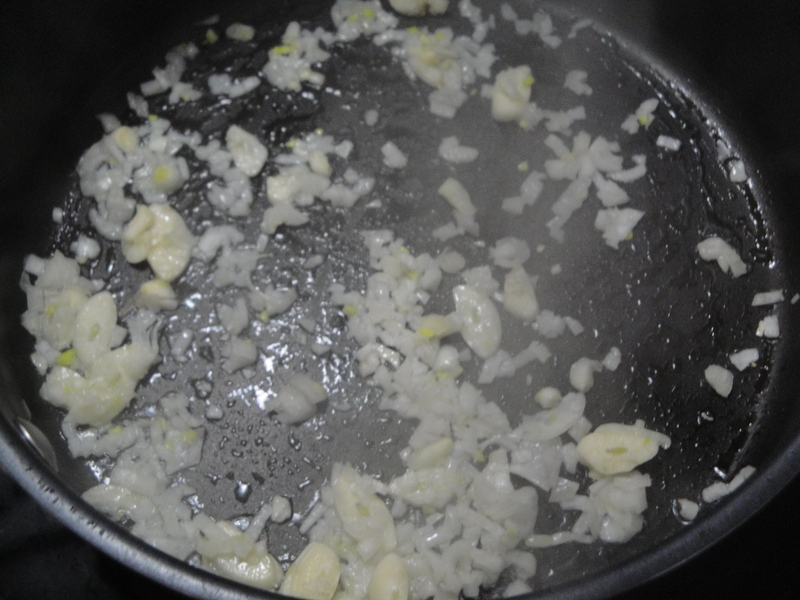 Add shallots and garlic to pan and cook for 30 seconds. 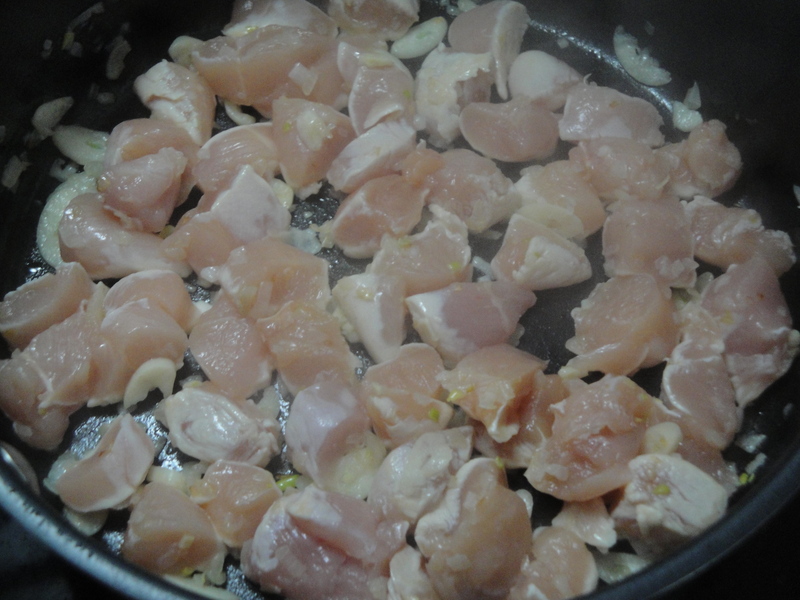 Add chicken to the pan and cook until chicken is done. Combine fish sauce (which I omitted), sugar, soy sauce, water, sambal oelek, and salt in a small bowl, stirring with a whisk. 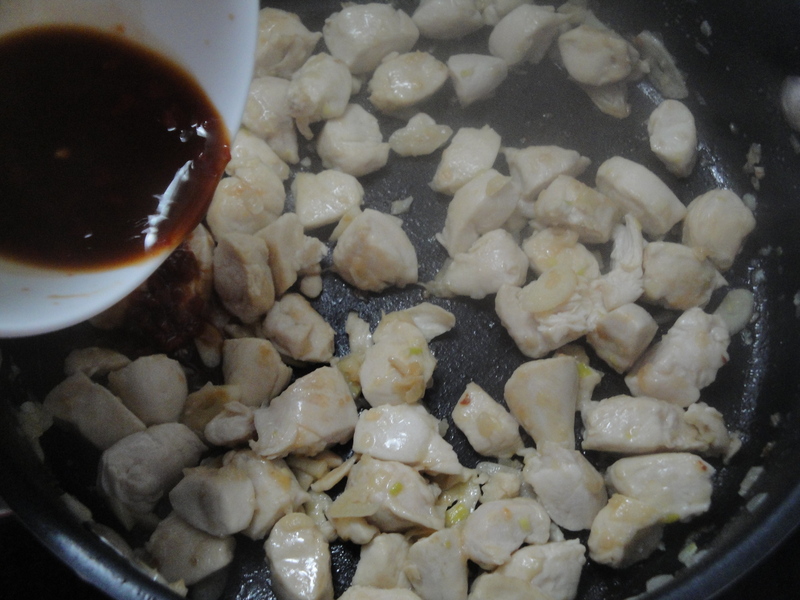 Add sauce mixture to the pan and cook for 1 minute or until mixture thickens making sure to coat the chicken. Remove from heat. Serve with rice, couscous, or just your fork. I absolutely LOVE your pics!!! Makes your dish, more Irresistible! !